- Gamespot recently conducted a video interview with the developers of WWE &apos;12. During the segment, several clips of gameplay are shown. CM Punk is also interviewed, and discusses video games, the pushes of Zack Ryder and Natalya, and more. - Wrestling News World reader Fernando and writer Rick Craig sent in the following: The Florida Championship Wrestling roster now features a new talent named Jake Carter. Carter&apos;s real name is Jesse White and is the son of Vader. Jesse played football at the University of Oklahoma and was touted for the NFL, but retired following a hip injury. - Super Lucha Magazine is reporting that Mil Mascaras will be inducted into the WWE Hall of Fame next year during Wrestlemania XXVIII weekend in Miami, Florida. Mascaras is the real-life uncle of WWE Champion Alberto Del Rio and is scheduled to be at tonight&apos;s Smackdown taping currently underway in Mexico. - The USA Network has announced they will air the WWE Tribute to the Troops special on Tuesday, December 13, 2011 from 9-11PM. - For those that have inquired about the recent jobs of John Morrison, I&apos;m told he could be on his way out of WWE. Sources close to Morrison tell me his contract is coming up in the next couple months and he has shown "very little" interest in re-signing. WWE has extended an offer for a new contract but he perceived it as he is not a top priority in terms of being retained. As has been widely reported, Morrison&apos;s real-life girlfriend Melina, was fired from WWE a few months back and her 90-day non-compete clause is coming up soon. I&apos;m told TNA Impact Wrestling plans to contact her when it&apos;s up and she&apos;s under the impression they will make a reasonable offer for her services. Sources close to Morrison say he has discouraged her from going to TNA right away, leading to speculation he could be planning a move for the couple to go together. Morrison is said to be unhappy on the road with WWE without Melina and is willing to go to TNA so the two of them can work and travel together. Vince McMahon doesn&apos;t see talents such as Morrison as a threat but he&apos;s making sure he does plenty of jobs on his way out the door. - WWEhas announced they have suspended Heath Slater for 30 days effective immediately for his first violation of the company Wellness Policy. STAMFORD, Conn., October 17, 2011 - WWE (NYSE:WWE) announced that it will report its 2011 third quarter results on November 3, 2011, before the opening of the market. The Company&apos;s Chairman and CEO, Vincent K. McMahon, and senior management will host a conference call beginning at 11:00 a.m. ET to discuss the results. 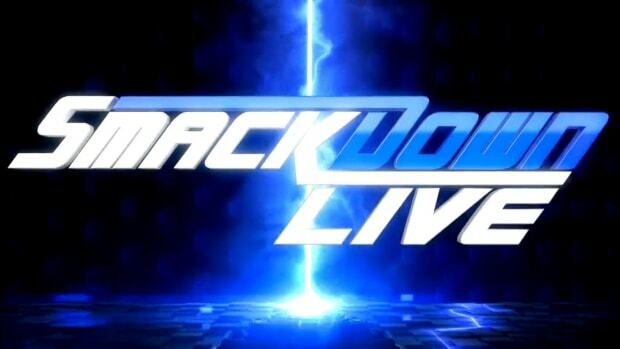 All interested parties are welcome to listen to a live web cast that will be hosted through the Company&apos;s web site at corporate.wwe.com. Participants can access the conference call by dialing 855-993-1400 (toll free) or 630-691-2763 from outside the U.S. (conference ID for both lines: WWE). Please reserve a line 15 minutes prior to the start time of the conference call. The earnings release and presentation to be referenced during the call will be available at corporate.wwe.com. A replay of the call will be available approximately two hours after the conference call concludes, and can be accessed on the Company&apos;s web site. WWE Network is launching in 2012, but you can be a part of it right now! Help name our newest show, a reality series featuring many of your favorite WWE Legends, all forced to live under one roof. See what happens when the most colorful and combustive personalities in WWE history shack up, break bread, and bruise egos. What would you name this new WWE Network show? Click here to vote for the name. - The name of the first show on the upcoming WWE Network will be WrestleMania Rewind. After a vote from WWE fans, WrestleMania Rewind beat out WrestleMania Revisited, WrestleMania Flashback and WrestleMania Review. The description of the show is "a retrospective on the greatest entertainment spectacular of all time, WrestleMania. The show will transport the WWE Universe back to a single WrestleMania in a three-episode series, starting with the Show of Shows&apos; thrilling debut at Madison Square Garden in 1985, all the way to WrestleMania XXVIII in Miami. WrestleMania Rewind will revisit each epic event through complete matches, never-before-seen footage and in-depth commentary from the Superstars and Legends who&apos;ve shared WWE&apos;s grandest stage." - Bret Hart was on Sun News is Canada talking about his role as a spokesperson for March of Dimes Canada. You can watch video of the interview at this link. - CM Punk is scheduled for the 10/21 Florida Championship Wrestling show from Osceola Heritage Park in Kissimmee, Florida. - Kevin Nash recently did a radio interview with Chad Dukes of 106.7 The Fan DC&apos;s Lavar Arrington Show. In it, he teased a possible match with CM Punk. As I mentioned in today&apos;s Ask WNW, Nash is still with WWE and I fully expect him to re-appear on television. - WWE has sent out a new email survey asking fans if they would be willing to change cable providers in order to obtain access to the WWE Network set for launch next year. The survey floated the idea that all secondary pay-per-views would be featured on the network while the "big four" (Royal Rumble, Wrestlemania, Survivor Series and SummerSlam) would not be. As we&apos;ve noted multiple times, several different ideas have been pitched regarding the network and pay-per-views to generate interest. - Remember when WWE redirected the WWELiveTour.com website at the beginning of this month? Apparently fans had been uploading explicit photos to the website (although I am 100% unaware of that functionality) and Stephanie McMahon held an emergency meeting with the website staff. I&apos;m told the meeting had to do with the website being a disaster and resulted in several playing the "blame game" with no one taking responsibility for the problems. As it turns out, one source with knowledge of the meeting tells me that Joey Styles took a big brunt of the heat. Styles was reportedly given a tongue-lashing by Stephanie for the website and he&apos;s now considered to be on "thin ice." One observer said do not be surprised if Styles ends up parting ways with the company in the coming months. His attitude has been similar to many former ECW talents at the end of their WWE tenures as he&apos;s "burned out" and looking for a way out. Name WWE Network&apos;s New "Monday Night War" TV Series! WWE Network launches in 2012, but we&apos;re already taking names for our new slate of shows, including a controversial look back at the Monday Night War. Waged between WWE and WCW during the 90&apos;s, this battle for TV dominance unfolded live each week, giving rise to some of the most iconic Superstars and storylines of our time. And you get to relive it in one action-packed television season. Click here to vote on the name. - Jim Rossnoted on Twitter that Gerald Brisco suffered a minor stroke Wednesday. Brisco is currently a talent scout for WWE and previously worked as a road agent before three strokes in June 2009 caused him to step down from the position. Our thoughts and prayers are with Brisco as he recovers. - Big Show is currently in Japan doing promotional work for WWE. Show is popping up on television shows across the country and will be there until October 21st. - WWE officials notified longtime Spanish announcer Hugo Savinovich his services would no longer be needed a few weeks ago. Sanvinovich did not want to comment until WWE made the move official. Brisco is in our thoughts and prayers as he continues his recovery. - In addition to The Rock, Mick Foley is being advertised for the 11/14 WWE Raw SuperShow which is the go-home to Survivor Series. You can view the local event information at this link. Jack Swagger and his wife Catalina welcomed a baby this Monday. It&apos;s a boy and his name is Knox Stribling Hager. Source: Mrs. Swagger&apos;s twitter (@catalinawhite). Of course, congrats to the couple. "I know what I did back then was completely insane. If you ever followed my regimen, you&apos;d think I was out of my mind. But I thought the harder I trained, the better I&apos;d be. To some extent, it was counterproductive. I also burned out quite a bit. Now the pressure&apos;s off. I won it. I have an Olympic gold medal. This has been a lot more fun for me rather than being nervous all the time." "I cried the whole way home. The next five days I watched &apos;Harry Potter&apos; movies with a blanket around me to get through it. It was one of the toughest things I&apos;ve done in my life and I&apos;ll never touch a painkiller again in my life - and I&apos;ve been offered. I will never let something consume me the way painkillers did in 2004. That was the devil taking over." to read the full interview. 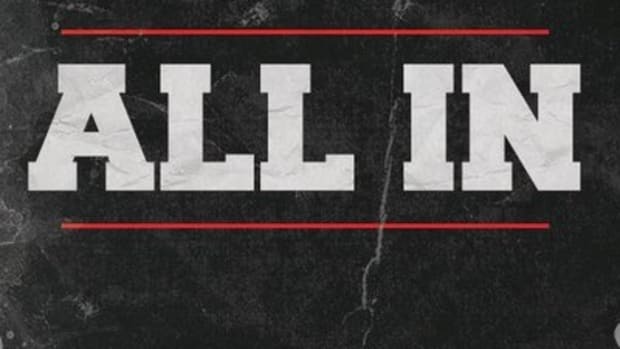 - Wrestling News World writer Rick Craig sent in the following: Former WWE writer and Ring of Honor director Dave Lagana announced on his website today that he has signed with TNA. Posted below is part of his statement: "I leave Ring of Honor Wrestling to tackle new challenges. I&apos;ve accepted a position as Director of Creative Writing with TNA Wrestling. My duties will be to focus solely on the development of new wrestling shows beyond the Impact Wrestling show. I&apos;m excited to see what the future holds and thank everyone for the support over not only the last nine months of this site but through my entire career." "Frustration setting in when your own guys bury the company that u have worked so hard for........ Brother!" "Nah, he&apos;s not ready. He&apos;s not the next guy. Y&apos;know, they might think he is. Dixie Carter might think he is. The whole world might think he is. He&apos;s not the next guy. If I had to bet money on anybody and really be serious about betting money on anybody, I&apos;d say Jeff Hardy is the next guy if he keeps his act together. Um, that&apos;s what you gotta to have, man. This is much more than being a wrestler, this is crossing barriers, medias, you know media barriers, and, and entertainment barriers of all kind. Getting your character down verbally has 90% to do with getting over. I just have a very strong feeling Kurt Angle&apos;s going to clean his clock performance wise, and carry the match, and basically remains the champion. He&apos;s training for the Olympics. He&apos;s had some up and down moments, and I think this is not gonna be a down moment for Kurt Angle, so I&apos;m betting that farm on him." "It&apos;s never too late. I mean, I just don&apos;t know. I, when I first came in all bright-eyed and bushy-tailed a couple of years ago, I had a ton of suggestions which I was kind of pushing real hard, which I thought would take him to a crazy, crazy level, and nobody responded. So, I don&apos;t know at this point. I have my ideas, but a lot of things that I believe in, and what I feel from the crowd, and what I know. The little I know about this business. Sometimes, it&apos;s either taken and used, or used and it doesn&apos;t work, or it&apos;s not used at all. So, it&apos;s just..it&apos;s my opinion. I don&apos;t know at this point." On Sunday, November 13, Direct Auto Insurance and TNA IMPACT WRESTLING present "Turning Point" live on Pay-Per-View and online at http://www.TNAOnDemand.com from Universal Studios in Orlando, Florida, featuring Hulk Hogan, Sting, RVD, Kurt Angle, Mr. Anderson, Bobby Roode, AJ Styles and more! PPV events air on Time Warner Cable, Comcast, Charter Cable, Cablevision, AT&T U-Verse, Verizon FIOS, DIRECTV, Dish Network, Viewer&apos;s Choice and more. Fans can also purchase the Turning Point VIP Weekend package at http://www.ShopTNA.com - exclusive access to the events and the IMPACT WRESTLING Superstars. - Velvet Sky won the TNA Knockout Women&apos;s Championship at tonight&apos;s TNA Bound For Glory pay-per-view. Sky was victorious in a match that also involved Mickie James, Winter and Madison Rayne. Great Ppv last night.Bobby Roode is one of the Best Wrestlers today! I am Still Going for Olympics. Only taking 1 Week Off 2 heal hamstring! Thanks to Wrestling News World writer Dan Haase & reader Sam Schneider for sending this in. your a hater and a mark that doesn&apos;t have a clue what&apos;s next ,really an ignorant clown. Styles has been responding to Hogan&apos;s comments and taking shots at the booking of Hogan. While either Hogan or Styles could simply claim they are working, several in the company have made note of the remarks. - I&apos;m told Gail Kim is backstage at the TNA Impact Wrestling tapings in Universal Studios in Orlando, Florida. Apparently there are plans to use her tonight but as we&apos;ve seen before, these types of things can change (especially when they leak onto the Internet). We&apos;ll have full taping results available later tonight here at WrestlingNewsWorld.com. - TNA Impact Wrestling sent out a press release today to formally announce Bruce Prichard as the company&apos;s new Senior Vice President of Programming and Talent Relations. In the release, Dixie Carter put Prichard over. While Prichard did get the book out of Vince Russo&apos;s hands, Russo is very much still part of the company. You can read full backstage details at this link. - James Storm beat Kurt Angle to win the TNA Championship at tonight&apos;s Impact Wrestling taping from Universal Studios in Orlando, Florida. I&apos;m told the match lasted a total of two minutes. It will air on this Thursday&apos;s show on Spike TV. We&apos;ll have full taping results up shortly. - TNA Impact Wrestling has announced Ronnie Ortiz-Magro from MTV&apos;s "Jersey Shore" will debut with the company on the November 3rd edition of Impact Wrestling. The show will be taped on 10/26 from The Macon Coliseum in Macon, Georgia. He&apos;s scheduled to appear on two shows as part of an angle with Eric Young, Robbie E and Rob Terry. Click here for more. - For those that missed it, James Storm beat Kurt Angle to win the TNA Championship on last night&apos;s Impact Wrestling. You can read full Impact Wrestling results by our own Alex Barie at this link. Does it not seem like the entire Bound For Glory series matches were a waste of time with Kurt Angle going over Bobby Roode last night? It was a mistake to put Kurt Angle over Bobby Roode at last night&apos;s Bound For Glory pay-per-view. This is one of those extremely questionable, "where&apos;s the rub?" creative decisions by TNA Impact Wrestling. Why build up an un-established singles worker for several months only to have them go under to a worker already established? Dan Haase, Wrestling News World writer who was in attendance at the show, told me he saw Tommy Dreamer outside the building saying the same thing. I understand the company wanted to do a "screwy" finish but it&apos;s unacceptable at their biggest show of the year and completely devalues the confusing BFG Series tournament. No, absolutely not. The return of Triple H and Shawn Michaels at the TV tapings in Dallas last week was an off-camera special for the live crowd. They did tease Wrestlemania 2013 for Dallas [at Cowboys Stadium] but that is yet to be confirmed. I recently purchased tickets for December 27th&apos;s Raw Holiday Show, which is a Tuesday at Madison Square Garden. Doesn&apos;t Smackdown tape on Tuesdays? Are any matches being advertised for that event? WWE is running special Holiday Tour shows the week after Christmas. The holidays usually cause for an alternative touring schedule because people (especially families) are more inclined to attend live events during the week. What is the current status of Brodus Clay? Brodus Clay is being primed for a big push in WWE. I don&apos;t know how far it will go but the company certainly has high expectations for him. Will the WWE Network be available in all countries? WWE is focused on trying to get clearance for the network in the United States as it&apos;s the only way it will be successful. Given the fact WWE is committed to international expansion and growth outside of the United States, I&apos;m sure plans will be made to expand it. Is Kevin Nash still under WWE contract? What happened to him? Kevin Nash is still under a Legend&apos;s Contract with WWE. I expect him to re-appear before Survivor Series as the company is hoping viewers forget about him. However, I cannot stress enough that he is under a Legend&apos;s deal and not a Performer&apos;s Contract like the majority of workers. Are WWE referees held to the same standards when it comes to their Wellness Policy? Yes, WWE referees are tested under the company Wellness Policy. Senior referee Mike Chioda was suspended for 30 days in August for his first violation of the WWE Wellness Policy and was the first referee to have a documented Wellness Policy suspension. Is Randy Orton being de-pushed by being programmed with Cody Rhodes? No, Cody Rhodes is being elevated, not the other way around. While I know I listed Orton vs. Rhodes for the WWE Intercontinental Championship prior to the airing of last night&apos;s Raw Supershow, that is not the case. I don&apos;t know why I thought WWE would actually utilize titles, I must be going crazy. Gail Kim quit WWE, something WWE never acknowledged with a "future endeavored" send-off, but doesn&apos;t she have a 90-day non compete clause? Given the fact Gail Kim has already done a public interview and has now deflected back to TNA Impact Wrestling, I&apos;m under the assumption she did not have a non-compete clause attached to her three-year WWE contract. While Gail&apos;s contract expired and she didn&apos;t re-sign, in most cases there are still non-compete clauses attached to deals unless negotiated otherwise. It looks like she didn&apos;t have the clause. Will Edge ever return to weekly WWE television? Edge is not medically cleared to compete so if he ever came back it would have to be in a non-wrestling role such as announcing. When a worker cannot get in the ring they have a limit on how much their character can be exposed because when the character is overexposed with no matches, it becomes monotonous. Edge is still under some type of contract with WWE as he was not released when his career was abruptly ended due to injury. People are always crying for John Cena to change his gimmick, but why not Randy Orton? Randy Orton has been the same monotone character for years. WWE also makes it like he&apos;s invincible. Randy Orton has made multiple transitions from heel to babyface over the years. While I realize some people are not fans of Orton, hence your "monotone" comment, he&apos;s had much more character progression than that of John Cena. WWE has been careful not to alter Orton&apos;s character too much but they have still altered it. You have to realize the frustration with Cena has to do with the fact they have been doing the exact same thing for years. Why is Mark Henry being pushed? He&apos;s awful on the mic, limited in the ring and boring to watch; not to mention very unhealthy looking. I don&apos;t think he should be champion, what are your thoughts? Mark Henry is receiving this push because he is a reliable veteran the company feels has gotten over with his latest gimmick transition. With Mark Henry you aren&apos;t going to get a five star wrestling match as his size limits what he can do in the ring. While he&apos;s not Big Show in terms of versatility, he&apos;s not The Great Khali either. Henry&apos;s abilities are somewhere in-between but his size does limit his matches. I&apos;ve actually been a fan of the latest Mark Henry gimmick because it&apos;s believable. I wouldn&apos;t be heartbroken if the push ended but given the rub he&apos;s already received, WWE must be careful with how they end it. Prematurely ending the run could make all the opponents he&apos;s gone through look weak. All and all Mark Henry has benefited from being a guy that is dependable along with the lack of development in terms of star quality. Do you like seeing Vince McMahon as an on-screen character or do you feel he should just stay behind-the-scenes? The Mr. McMahon character is entertaining in moderation. I find it compelling when McMahon involves himself in storylines, however, his character is like any other character in that it has a limited shelf life. With that being said the Mr. McMahon character is a prime example of taking someone&apos;s real-life personality and turning it all the way up. With DeGeneration X, the nWo, The Nexus and The Ministry/Corp Ministry being the biggest and most memorable stables, do you see WWE ever being able to create a new sustainable stable? If so, what kind do you think would get over and what superstars would make it work? It would absolutely be possible for WWE to create a new stable on television, however, stables are like characters in they won&apos;t last forever. The biggest thing that hinders stables in WWE is overexposure. No matter how awesome something starts out, if it dominates the main event week in and week out, it gets old quick. WWE&apos;s problem seems to be they get something red hot and blatantly push it past its shelf life. For example The Nexus was one of the hottest things we&apos;d seen on WWE TV in years when it debuted in June 2010, however, it didn&apos;t progress and no one got a significant elevation out of it. As for my opinion on a stable I would like to see, I&apos;d be in favor of something of an Evolution re-creation where younger talents are elevated by established veterans. The problem is they have to find younger workers that can be successful. What do wrestlers eat on a daily basis to stay in such good shape? Pro wrestlers are like any other athlete in that it is essential to eat lean protein-heavy diets and accompany them with time in the gym with both anaerobic and aerobic exercise. However, wrestlers have it much more difficult because they are on the road so much. Have you ever tried to eat healthy in an airport? It comes down to making smart decisions and constantly monitoring what they are putting in their bodies. Do you think Sin Cara (blue) could end up with a title opportunity? The original hope for Sin Cara was to make him the second coming of Rey Mysterio; however, WWE officials learned very quickly that was much easier said than done. It&apos;s going to take patience to get Sin Cara to that level and I&apos;m sure some in the company already doubt his ability to ever be a main eventer. Rey Mysterio is a very rare talent as I feel he&apos;s one of the best workers in pro wrestling history. What is the latest on Skip Sheffield&apos;s injury status and his in-ring return? We get emails all the time about Skip Sheffield but there isn&apos;t much new to report. Sheffield underwent a third surgery on his ankle in June and provided an update in May. Since then, all Tweets have been deleted from his Twitter account. Do you think Cody Rhodes is going to get a run as World Heavyweight Champion? WWE is currently in the process of elevating Cody Rhodes (hence the program with Randy Orton). They&apos;ve tested the waters in elevating him before but he&apos;s talented enough where it will eventually stick. I like the gimmick transition from "dashing" to "demented" and feel like he has a bright future in WWE. Could Shawn Michaels ever return to WWE, even under a Legend&apos;s contract? Shawn Michaels is retired from the ring but he has a very good relationship with WWE. Not only is he close with Vince McMahon but Triple H is his real-life best friend. While it is unlikely Shawn ever wrestles again, we all know it&apos;s not a good idea to say someone is "never" going to return. I have always felt like Shawn will end up with an executive position at some point if he wants it. He would probably be a good person to run talent relations but that&apos;s just speculation on my part. OK I have a feeling this isn&apos;t going to be pretty but James Storm is TNA Champion - what are your thoughts? I have no problems with James Storm. He&apos;s a talented wrestler, a homegrown performer and it&apos;s about time a TNA original gets a rub in a company dominated by re-treaded talent. However, there is no way to explain several months of build for Bobby Roode, going under Kurt Angle at the company&apos;s biggest show of the year, only for Storm to go over in two minutes on free taped television. Call me a mark for "not getting the big picture" but I&apos;ve talked to experienced bookers that have worked for WWE and they cannot explain it either. While the most optimistic of fans is hoping for an entertaining program between Roode and Storm, it&apos;s still the guy that got beat by Angle versus the guy that beat him in two minutes. If they wanted to do Roode/Storm for the title, Roode had to go over at Bound for Glory. There is no storyline that can fix the mistake of Angle over Roode if they were going to take the belt off Angle. It&apos;s just bad booking.